This morning I should be at my 7mi long run. 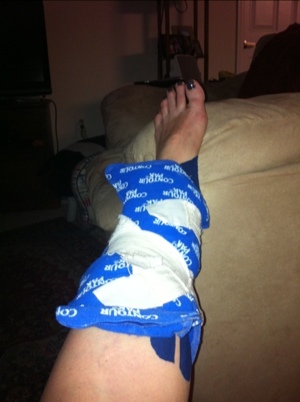 However, after almost two weeks of shin pain when walking, running, and laying in bed, I succumb to the ice pack and kt tape. Seriously? I just want to stinkin’ go running. Not super fast and not very long. My body and I are at odds today and I have lost this round. Next Article Happy Anniversary Title IX.